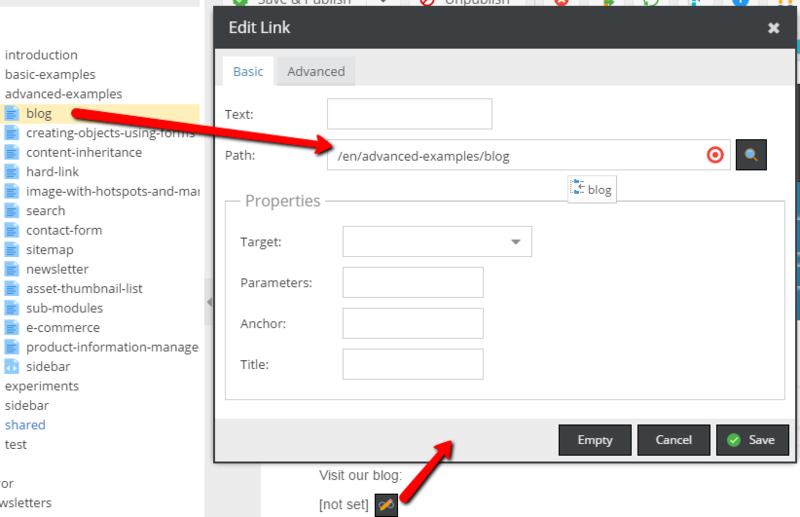 The link editable is used for dynamic link creation in documents. You could see the backend preview in the picture, below. Let's see how to make a list of links with Block.